In this week’s Industry Perspectives, Steve Pullins and Brian Levite explore the possibilities of small, modular microgrid solutions that could be designed once and built in a controlled environment; what they are calling microgrids on skids. The case for microgrids has been made many times here on the pages of Microgrid Knowledge. The energy resilience, cost savings and sustainability benefits are likely well known by those reading this piece. These benefits and the low-risk approach of microgrids have migrated into the financing world where a myriad of lenders now have the understanding and comfort level to make microgrids worthy of favorable financing rates. This burgeoning industry is growing every year, creating an ever larger pool of microgrid professionals who can design excellent systems and create improving business models. 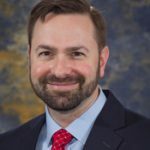 While there are still challenges for the microgrid industry, such as utility acceptance and predictable regulatory environments, it seems clear that microgrids, as a solution, are here to stay. 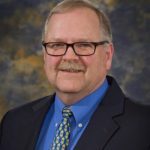 Given this, we believe it is time to consider how to deliver these solutions more broadly – specifically to new space types that the current microgrid model would find too challenging. The current model of microgrid development is complex. It requires a development or engineering firm to gather data and conduct site visits followed by modeling and system design – all of which costs considerable amounts of money. Then, the financing team comes in with additional, separate due diligence for the investor or debt provider, bringing legal costs, insurance costs, and addition soft costs to mitigate risks for project at hand. When this is successful, what we have is one microgrid for one location. The next microgrid will require all of this same work to be done over again. What’s more, the fixed costs in this approach mean that any microgrid must be reasonably large to justify the effort. This limits the kinds and number of end users that can reap the microgrid benefits referenced above. It makes deploying microgrids for smaller end users impossible. We believe the microgrid industry needs to develop a small, modular microgrid solution that could be designed once, built in a controlled environment, deployed via truck and installed in a day. This kind of ‘grid on a skid’ could be designed in a few standard sizes to meet the needs of different classes of customers. These microgrids on skids could even be modular, capable of being stacked to meet on-site loads. A logical approach would be a container-based system containing a combined heat and power (CHP) unit, energy storage and system controls with photovoltaic panels on the top or delivered separately for roof application and easily integrated to the ‘skid.’ This is replication of technology. Pharmacies/Vehicle Care/Small Department Stores (35-75 kW average) – The top chains represent over 75,000 stores in the U.S. Grocery stores (150-500 kW average) – The top 16 chains represent ~13,000 stores in the U.S.
Big box retailers (250-500 kW average) – The top 4 chains represent 4,225 stores in the U.S. The business model may also simplify with this approach. Since the majority of these locations are part of a chain of stores, nearly always with a corporate energy manager, a deal for a large fleet of sites could be structured with the corporate office. This means that there is one cost (legal, due diligence, insurance, etc.) for all sites. Plus, there would a single contractual vehicle, such as an energy services agreement, that can encompass a large fleet of stores for a 20-year term. This is replication of business model. Authors’ note: Since the initial writing of this piece, Hurricanes Harvey and Irma have left millions without power in the Southeast United States. One interesting exception is H-E-B grocery stores in Houston. Last year, H-E-B signed a deal with Enchanted Rock to install natural gas-fed microgrids at their locations. After Harvey-induced power loss, 18 of H-E-B’s grocery stores were kept up and running by these new microgrids – saving refrigerated and frozen inventory and allowing the stores to remain open or quickly reopen to serve their customers. This story is unlikely to go unnoticed by other grocery and pharmacy chains that play a critical role in supporting their communities. These large chain-of-store operations already aggregate data from sales, logistics, energy bills and other operations through broad data services. It is not a stretch to add the oversight and management of the microgrids on skids at these many stores. An industry already versed in large-scale data for operational excellence should easily accept the addition of a fleet-type approach to on-site energy supply. This is what the Big Data and Internet of Things initiatives are about. This is replication of operations. 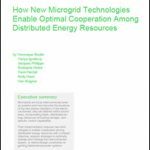 Microgrids, replicated at scale, can be deployed much more broadly for much less money. Community Microgrids: Where, Why and How? Modular data centers had a big impact on the data center industry and it is likely that modular microgrids will do the same for the microgrid industry.